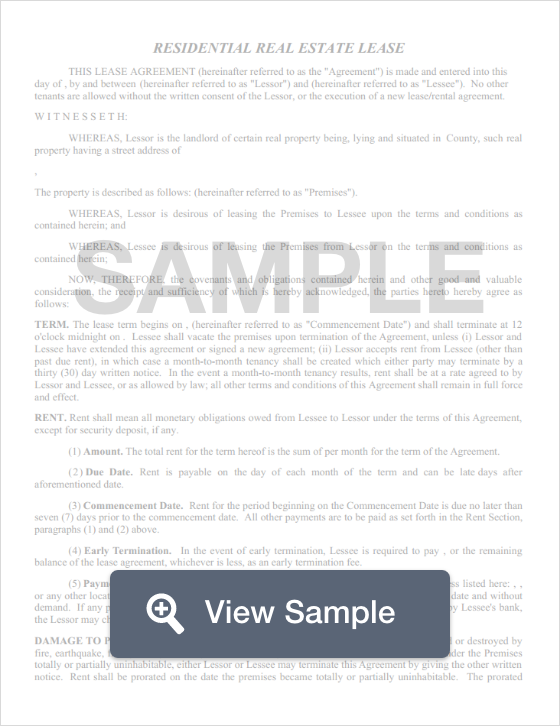 Create a Texas Lease Agreement with our attorney-drafted template! A Texas lease agreement is a legally binding contract between a landlord (or property management company) and the tenant. This document outlines the duties of both the landlord and the tenant related to the property. 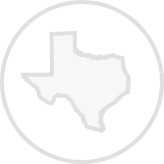 Texas lease agreements are often put in writing and should be compliant with Residential Title 8, Chapter 92 or Commercial Title 8, Chapter 93. Which law you should consider depends on whether the property is considered a residential or a commercial unit. In Texas, the most commonly used lease agreements include apartment leases, commercial leases, month to month lease agreement, a standard residential lease agreement, and a roommate agreement. While many of the lease names are self-explanatory, it's important to note that a roommate agreement is also a lease agreement. It is used to document the agreement of the length of time the roommates will cohabitate, the amount of rent each roommate is required to pay, the due date, and whether the roommate is responsible for other bills. It will also explain if there are certain areas of the property that are for the exclusive use for the roommate or if it is a community area. Some tenants rely on a sublease agreement if they plan to lease out the use of the residential or commercial unit to a third party. However, before a tenant decides to engage in subleasing, they should first review the master lease to determine if sub-leasing is allowed. If it is, the tenant may be required to get written permission from the landlord. Additionally, it's important that the sub-tenant know who the landlord is in the event that repairs must be made to the property. Texas lease agreements require certain information in order for it to be legally binding. The names of the individuals who will be the tenants must be provided. This is true even if one of the tenants is a minor. Generally, minor tenants are listed along with their age. You'll also need the name of the landlord or the property management company (and it's representative). You'll also need a description of the property. The description of the property is usually the street address of the property. The city, states, and zip code should also be included. A Texas lease agreement should include specific information. First, the landlord or property manager should include the number of days a guest may visit the premises before they must be added to the lease. The purpose for this is to minimize the likelihood that additional people begin living at or using the property. It's important to note that failure to abide by this part of the lease may provide legal grounds for an eviction. The lease agreement should include the term of the lease. It should include the date that the Texas lease agreement goes into effect and the date that it will expire. It should also include directions on what the tenant can do if they plan to renew a lease that is longer than month to month. If the lease is yearly, it should specify whether if it will switch to a month to month lease agreement at the end of the term. For month to month and most other Texas lease agreements, tenants are given 30 days to move out after they provide a written notice. Make sure that this is listed in your lease agreement. The lease agreement should document the amount of the security deposit that must be paid on or before the date the agreement is signed by the involved parties. This section should include whether the security deposit includes a deposit for pets. If not, the agreement should include whether pets are allowed, any restrictions related to pets, the amount of the pet deposit, and whether there is an increase in rent each month because of the pets. A Texas lease agreement should document how many keys provided to the tenant. If the property is an apartment or has an area where mail is secured, the landlord or property manager should also document how many mailbox keys are provided. If there are other access keys provided (for example, to a private gym area or secured laundry mat), that should also be included. The lease should also indicate whether the apartment is furnished or unfurnished. The lease agreement should include information about the amount of rent that is due each month. Rent is generally due on or before the beginning of the month. It should also include acceptable payment methods and where the rent payment may be made. If the rent was prorated for move in, that should be documented. The date that rent is considered late must be in the document. 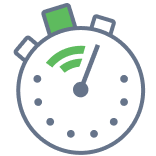 If the landlord or property manager plans to charge late fees, it should be documented and explained. For example, some landlords charge a daily late fee for late payments. Some charge a flat rate. Landlords should include the amount that is expected in the event that there is a returned check charge. If there is an amount of money that will be charged because of unlisted pets, it should also be listed and explained. A Texas lease agreement should designate whether the tenant or the landlord will pay for utilities. If there is a split, it should be explained. For instance, if the tenant is responsible for electricity, but the landlord pays water and sewage, that should be listed. If the landlord will assess a penalty because the tenant doesn't change the service into the tenant's name or if it gets shut off, the landlord should specific if there is a monetary penalty of some kind or if that will provide the landlord with the option to pursue an eviction. If the tenant is required to maintain renter's insurance, it should be specified in the agreement. It is prudent to explain that homeowner's or business insurance won't pay the tenant if they lose their personal property because of an issue. Renter's insurance can help them avoid a major loss. If the property includes security of some sort, such as an alarm system, it should be explained along with whether the tenant is required to pay the fee for the service. If there is no current security system, the tenant requests one, and the landlord provides it, an addendum to the Texas lease agreement may be created and provided to the tenant at that time. If there are other special rules for the property, the landlord must lay them out in the lease. However, it's important to note that these rules must follow both state and federal laws. Additionally, if the landlord rents to military service members, there should be a clause that explains the steps they should take if they receive orders during the term of their lease agreement. As mentioned earlier, a Texas lease agreement should mention whether subletting is allowed. Many landlords who allow subletting only do so in certain circumstances. The tenant usually needs to get permission in writing. Cleaning, move out inspections, and deposit returns should also be listed in the lease. It should also specify how long the landlord has to return the security deposit to the tenant after they vacate the premises. Remember that security deposit amounts are controlled by state law. Finally, a Texas lease agreement must be signed and dated by the tenants who are at least 18 years of age, the landlord (or the landlord's or property management company's representative), the address and phone number of the landlord or their representative for the purpose of providing notices, and the date the document was signed. Which Disclosures Belong in a Texas Lease Agreement? You must provide certain disclosures in a Texas lease agreement. You must identity the agent or the owner of the property. This means that you must list the person who is listed on the deed of record for the property (and their address). You also need to include the name of any agent (such as a property manager) along with their address. Under federal law, any residential unit built before 1978 requires the owner of the property to inform their tenant or potential tenant that there could have been lead paint used at some point on the walls and ceilings. A Texas lease agreement must include a disclosure on parking rules. This disclosure must be extremely easy to see. You can designate this section by using the title 'PARKING RULES' (note that the letters are all capitalized). This area explains towing policies and the tenant's right to have vehicles on the property. The document must include any special conditions to cancel the agreement. The specific language that must be included in this disclosure, under Texas law, is "Tenants may have special statutory rights to terminate the lease early in certain situations involving family violence or a military deployment or transfer." The last disclosure that must be included in a Texas lease agreement is a section that explains a tenant's remedies. This disclosure explains to the tenant what rights they have if the landlord is unable to complete repairs within a seven-day time period. Make sure that this disclosure is in bold or that it is underlined. Under Texas law, there is no limit on how much money a landlord may request as a security deposit. However, the landlord must return the funds within 30 days of the tenant vacating the property. Create a free Texas Lease Agreement in minutes with our professional document builder.